Here’s what some happy customers are saying. So first and foremost your stockings are the best! My parents bought mine when I was just a baby. I’m now 23 and still use the same stocking and would love to keep the tradition going of buying these stockings for my family one day!! 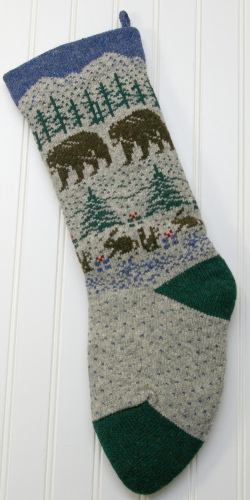 … Your stockings are AWESOME! We can fit almost TOO much stuff in these- and they go right back to their perfect shape the next day. Beautiful, and a treasured tradition. I am just thrilled to have found you on the internet! 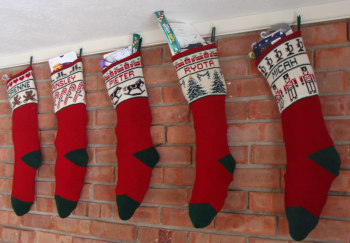 I bought your stockings for our 3 children about 25 years ago from a small shop in Summit NJ. We still have them and use them every year! I just ordered a new one as an engagement gift for our prospective Son-in-Law! And I’ll be ordering again for our Daughter-in-Law! Maybe some day, I’ll even complete the family by getting one for my Husband and me! Finding your website and being able to order more of your amazing stockings was one of the best finds for this Christmas. 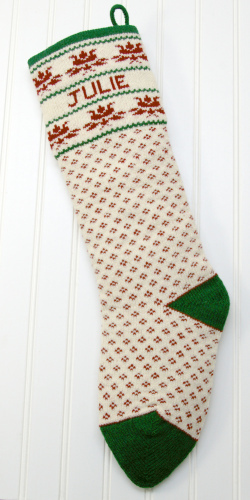 Thirty years ago I purchased stockings for our family of three children, my husband and myself. 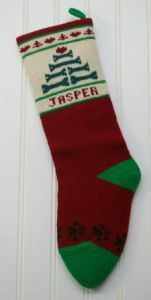 We have expanded to daughters and sons in laws and a puppy; it was wonderful to have these stockings for our whole expanded family. Bought 3 of these stockings, Teddy Bear, Snowman and Rocking Horse, for my daughters 23 years ago. Found them in a small store in Chester, NJ. At the time it was a big splurge. Now bought 3 more of the exact patterns, opposite colors, for one daughters husband and any more husbands to be. So happy that they are still being made. Still love them after all these years. Here is a picture. I actually have ordered 5 ! (One was for an exchange student we had) this new one is for a boyfriend! Yay! 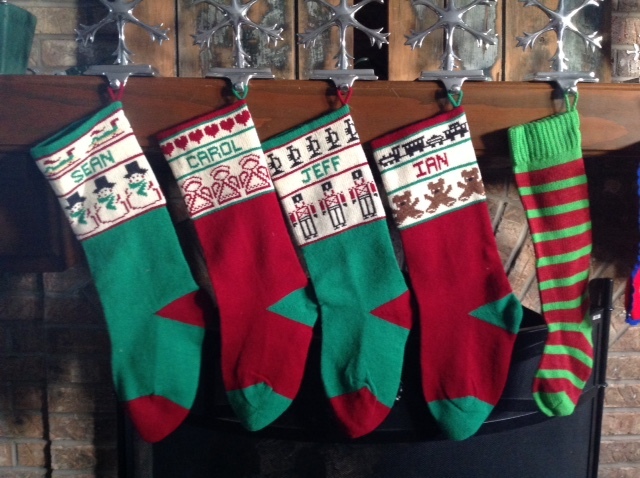 Our beautiful new stockings arrived today, so now we give them to our new son in law and daughter in law! We bought or ordered our original stockings from you at a craft fair (I think) in Burlington approx. 28 years ago — is that possible?? We got them when our son was little and he’s now 29. Anyway, we love them and they are a part of our family’s tradition. Need another one as we’re adding to the family! Thank you so very much for all of your efforts to match our new “Jordan” stocking with our older previous stockings. It matches great and adds to our festivities this year.I appreciate all of your help and great service. Thank you for your great service and beautiful workmanship. I have had these stockings for 20 years and they look as good as they did when I bought them. No discoloring or stretched out from overfilling, and they have been very overfilled through the years. I just love them! Thank you so much and I look forward to ordering many more in the future! Thank you for taking the time to email me with alternatives to my order. 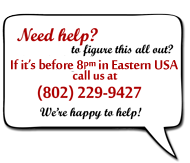 I want you to see the attached photo. 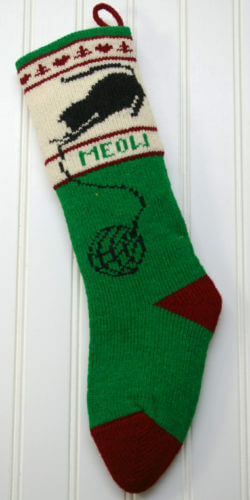 I believe I have had these stockings for twenty years or so. Kim is engaged to my son Jeff and will become my daughter-in-law next August. Given that she will be in our family for many years to come, I can wait until February to get a stocking that matches the others in how it is personalized. 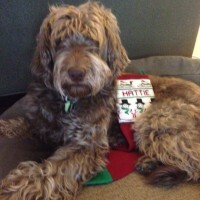 I fully understood that I would not receive the stocking this year. My plan now is to put a copy of your email into the wimpy striped stocking on the right. The image of you all frantically knitting to fulfill orders and the need for recovery month of January made me smile. Please stay in business forever. 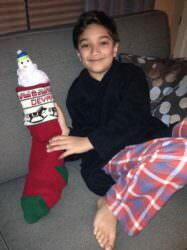 I have a second son who doesn’t have a significant other just yet and one can always hope for grandchildren who will need their own stocking. They are unique, exquisitely made and true keepsakes.